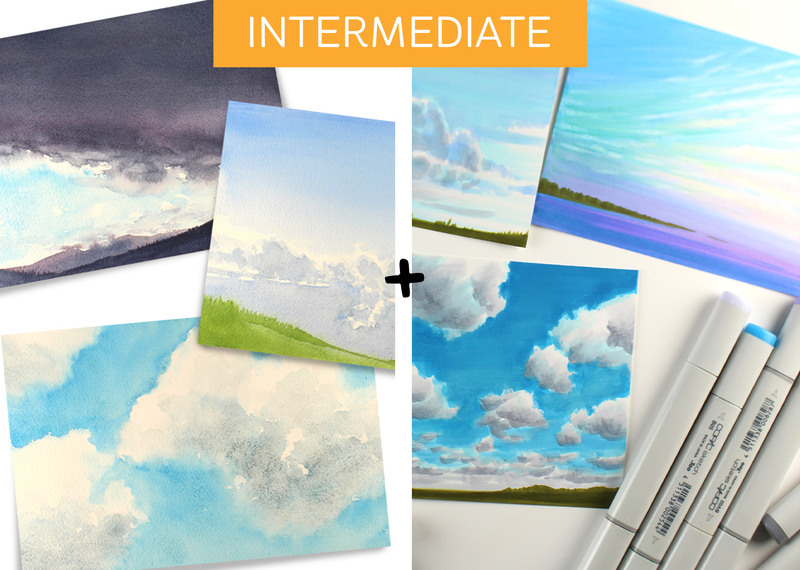 Learn how to create the same scenes in both watercolor and Copic marker by purchasing both classes together! If you need to take some basics in a medium but still want to purchase the classes together, you can “skip” to the medium you’re ready for now, and come back for the other medium later. This class is appropriate for artists working in any genre – cardmaking, fine art, animé, etc. Lessons are taught on a small paper – but can be adapted to a larger size as desired.